Very interesting. I live a few towns away from Penn State, which has a very famous creamery and ice cream course (Ben and Jerry took it, for example). I always thought it'd be fun to learn the science behind ice cream while getting to sample the results. While I like cream cheese as much as the next person I'm really not sure that it's the right thing for icecream. Clearly Jeni thinks it works. I'm also all for substitutions or tweaking when they work, but I remain very dubious about this. I'd be happy to try the icecream one day of course, although I have never been to Ohio, and am not expecting to get there, so it may have to remain one of life's little mysteries. This does sound interesting! Especially since I tend to avoid egg in my ice cream when making it myself. My health is sensitive and since there can go a lot wrong with raw egg, I try to avoid it. I am only a beginner at making ice cream though. @Louise, I think Jeni actually uses a different base at her ice cream shop. She changed the base for the home kitchen because the ingredients she uses (tapioca starch for example) are harder to find for the home cook. @Uniflame hmmmm... the ice cream book that I have that uses egg in the base has you cook the egg into the cream and sugar to make a custard so there's ever any raw egg "oogieness" Ha! I just made up a word. LOL! 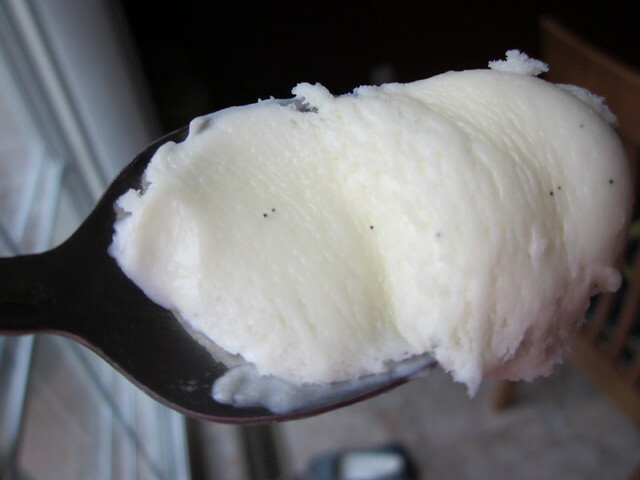 My first thought was how would the cream cheese be masked in the finished product, and then I saw, oh it wasn't...I have never attempted to make my own ice cream, but I love reading about food science, so I want to check this one out. I am one of the few women who isn't so wild for ice cream. I like one kind - B & J's plain chocolate. I eat it a few times a year when there's a sale. This sounds like a great book if you want to make your own at home. corn syrup, corn starch and cream cheese..interesting, but I am not totally sold. I gave my new d-i-l an ice cream maker and I was thinking that I should look for a good recipe book to go with it. Thanks for the suggestion. I can imagine that the cream cheese would be too strong a flavour for something like vanilla. Interesting concept, though. You are right, with chocolate it would probably go very well. I haven't really thought about trying to make ice cream at home! I don't think cream cheese in ice cream would be good unless you were going for that flavor. Egg custards intimidate me but I guess it is the best way to go. I'm happy to have found your review. 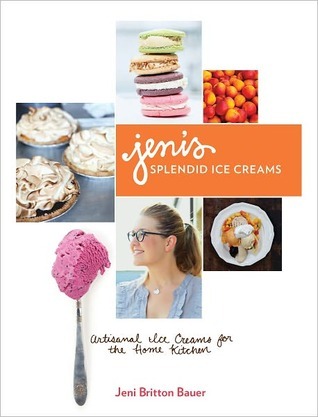 While the flavor combinations featured in Jeni's book *are* splendid, I could taste the cream cheese in both recipes that I've made so far, the sweet potato and the darkest chocolate (which contains coffee!). Strong flavors, those, but the cheese still comes through. Also, the texture of these ice creams was a little gritty compared to custard-based ice creams. I'm going to try switching cream cheese brands and may use tapioca starch instead of corn starch next time. I have read so many reviews that rave about the creamy texture you get when using this technique, so I feel like something must have gone wrong-but what? My custard ice creams always turn out very smooth and creamy.